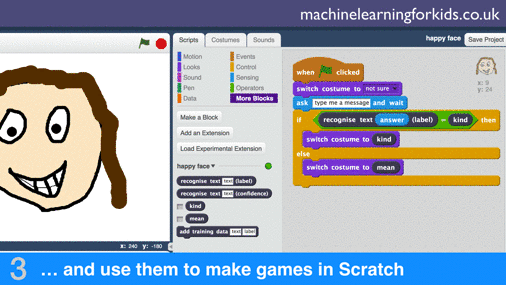 Description: introduces kids to machine learning by providing hands-on experiences for training machine learning systems and building things with them in Scratch. Includes roughly two dozen projects students can build. Each project includes written guidance for teachers and a project worksheet for students.